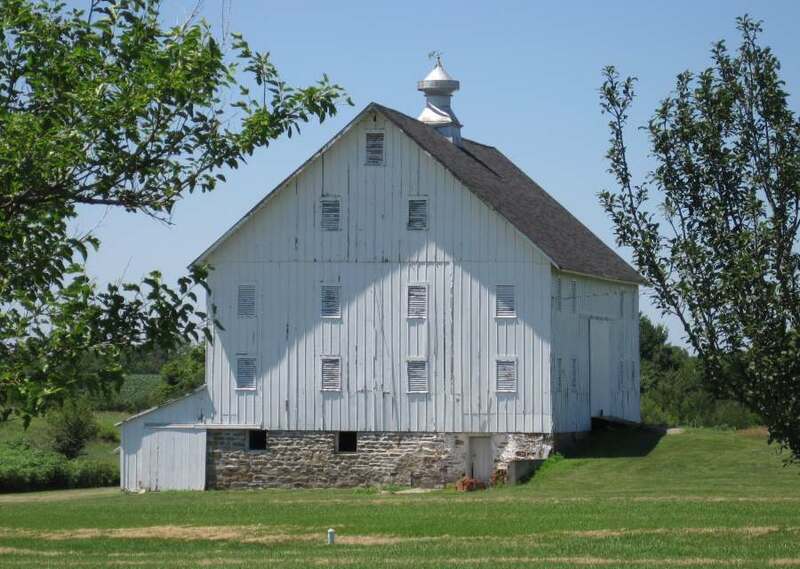 Barns on this page include - Galloway Barn, Finney Barn, Clark Barn, Parsons Barn, Zane Barn. 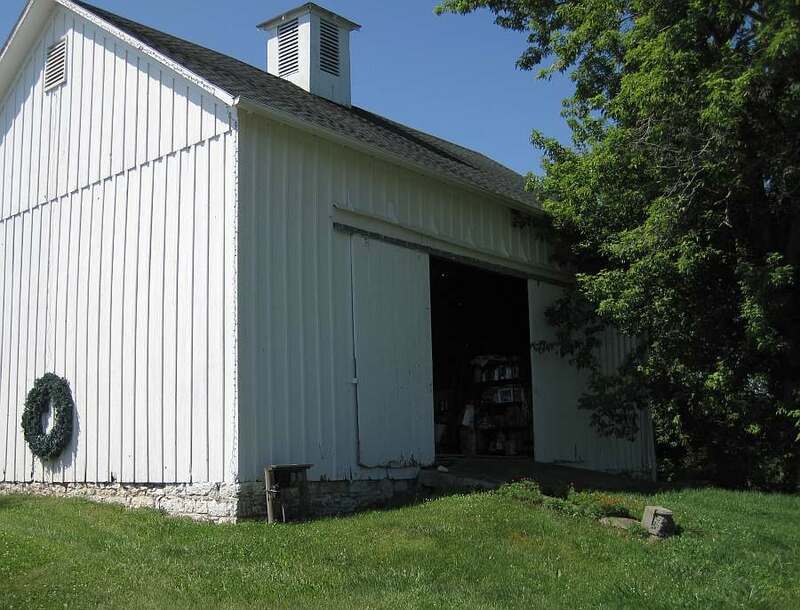 All of the barns are (or were) bank barns. 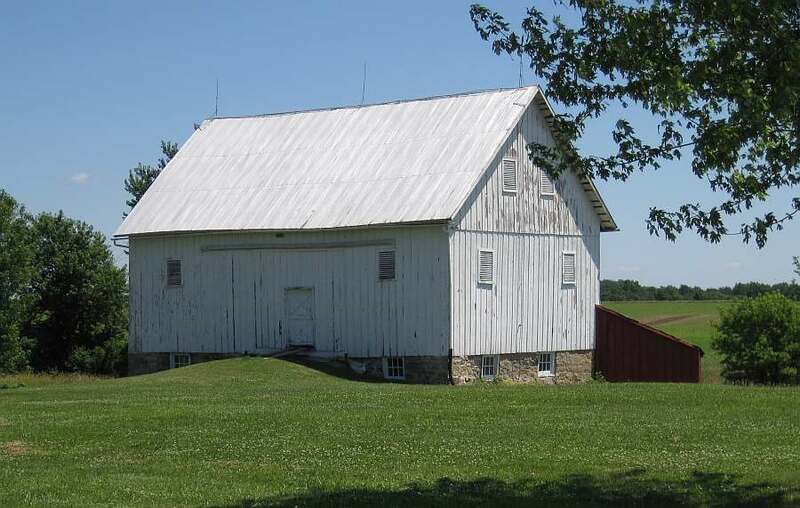 The Finney barn was a bank barn before 2016. 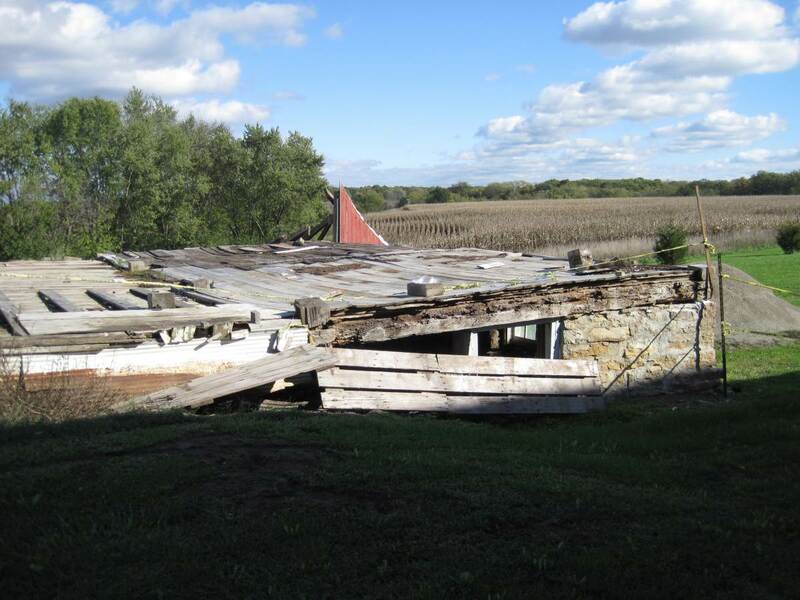 On July 19, 2018, one of Iowa's celebrated historic barns was swooped 15 feet into the air by a tornado and slammed to the ground leaving only scattered pieces of the stunning National Register treasure on the ground. 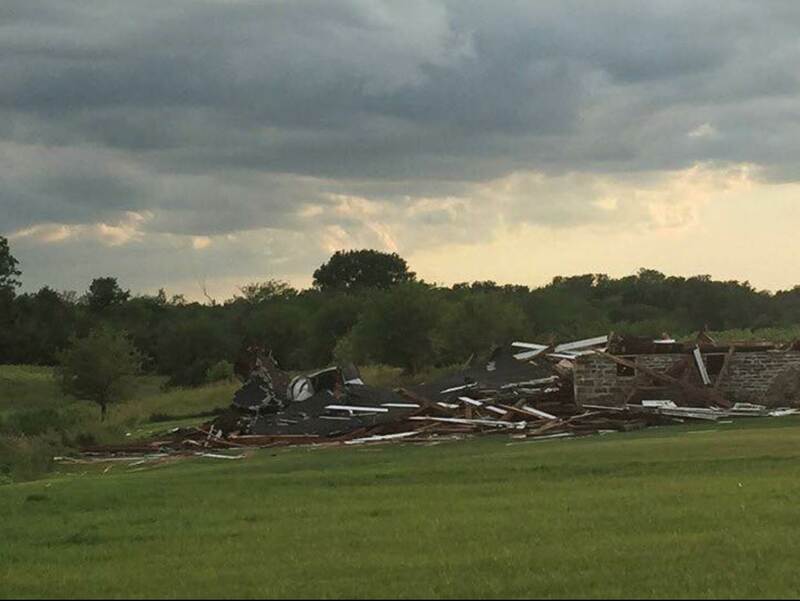 Sharon Galloway, the barn's owner, was visiting friends 20 miles away when she received a call from a friend, "Your house is fine, but you don't have a barn anymore." 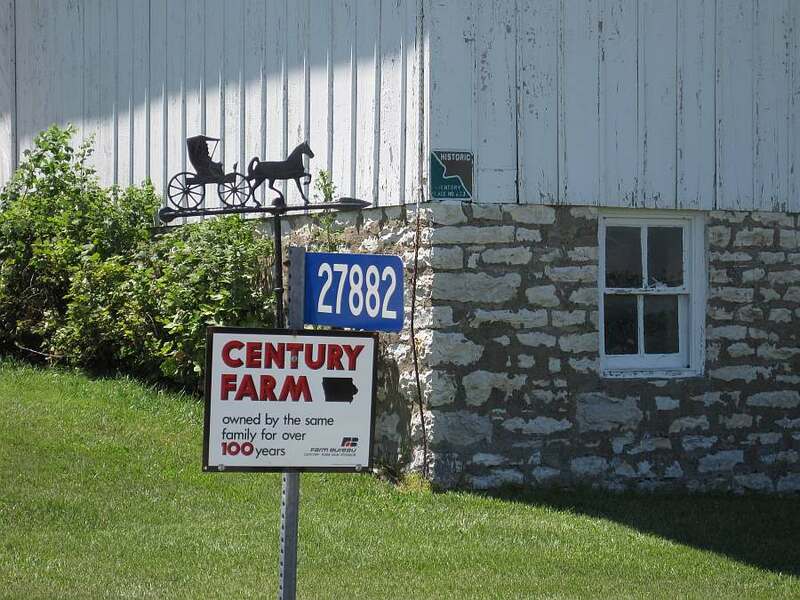 By the time she reached home, near Keosauqua in southeast Iowa, there were 30 cars parked on the property. "I felt terrible. It was surreal. I look at it, and it's gone," she said. 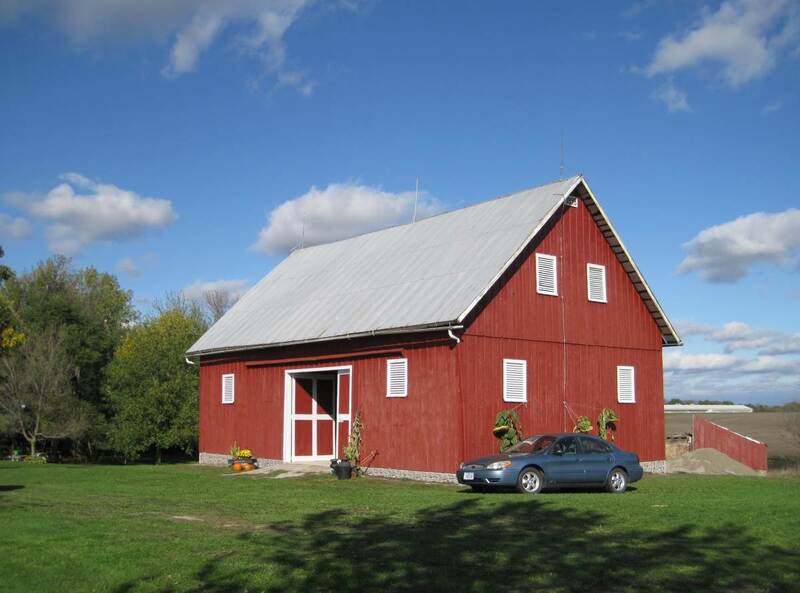 Sharon's father, Clyde McElhinney, bought the barn in 1957. 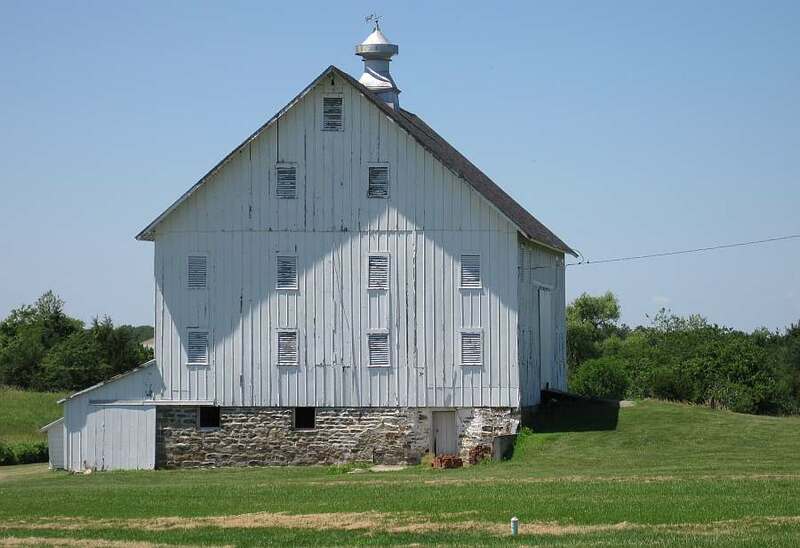 It had been built in 1890 by William Barker as a dairy barn. 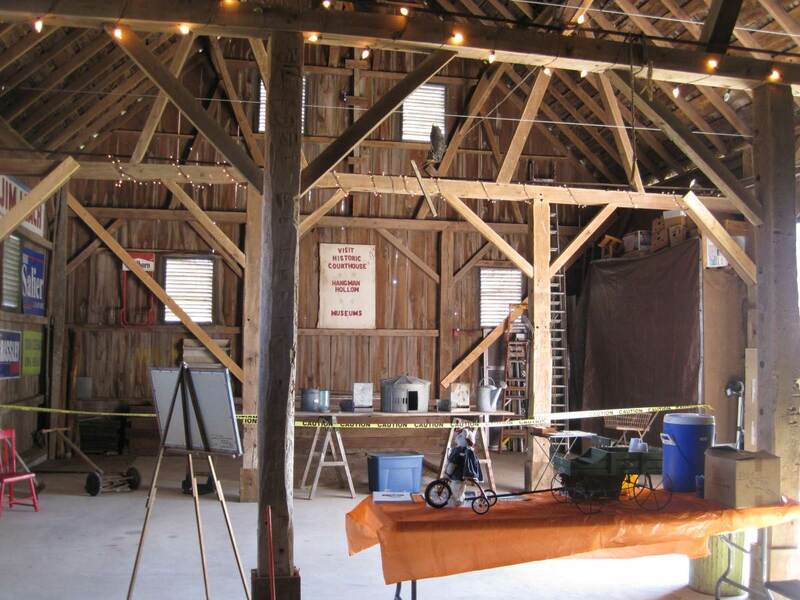 It was a basement barn and was special because it featured Louden custom equipment. The house, which was not damaged, was built in 1884. The cupola also remains. 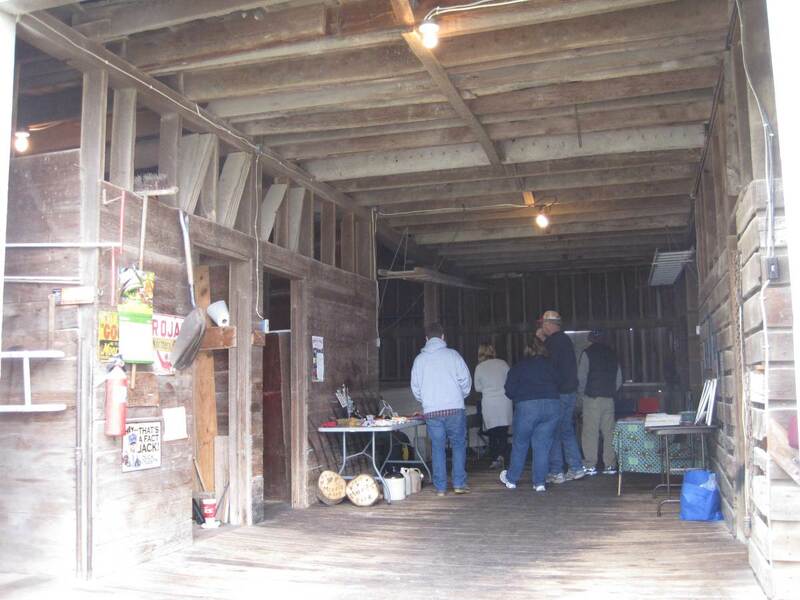 Sharon, 77, who was a teacher, is concerned about the 100 bats that lived in the barn. "I wonder what happened to them," she said. 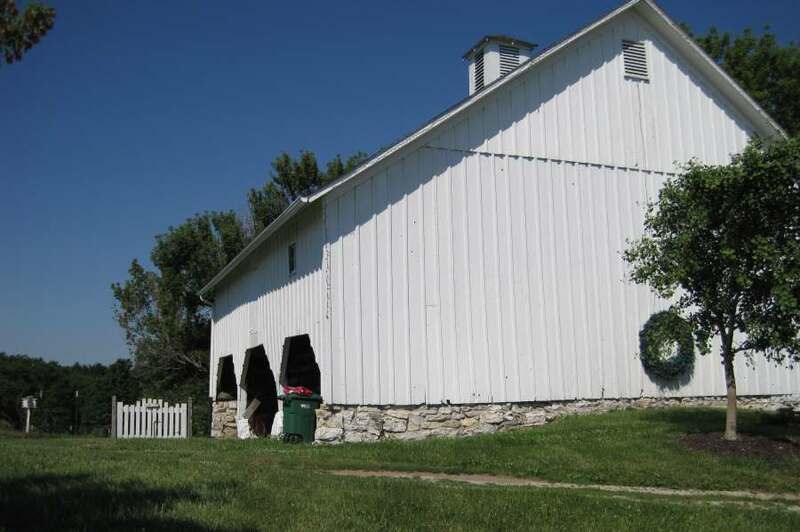 More information about the Galloway barn is on the Louden Tour website, where you will also find a link to this barn, listed on the National Register of Historic Places, as the "Midway Stock Farm Barn". 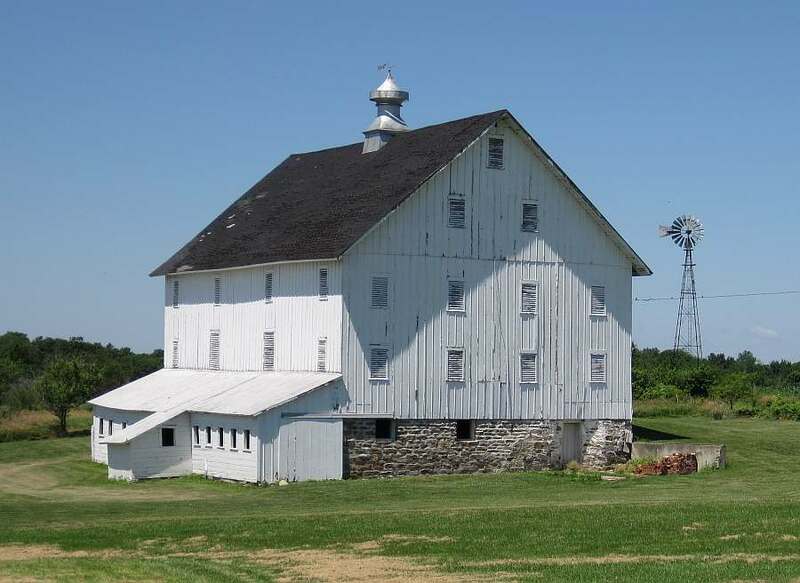 Galloway Barn. Photos taken July 2013. 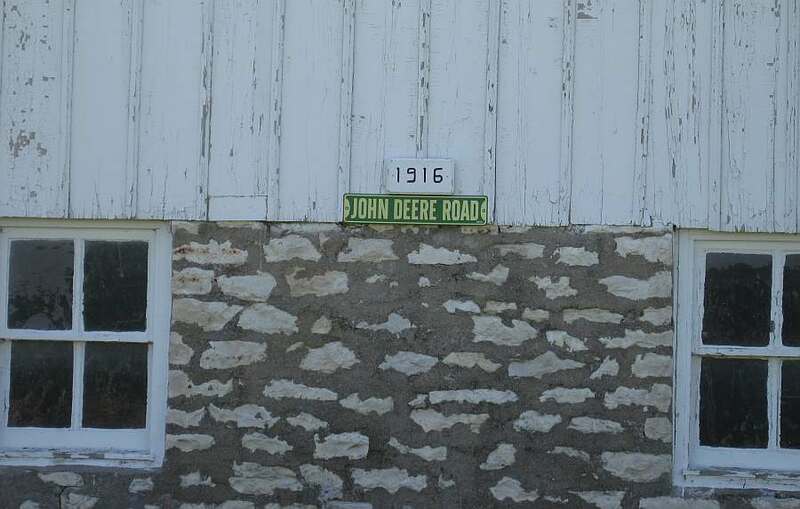 The owner of this barn, John Finney, wrote the following history of this barn. 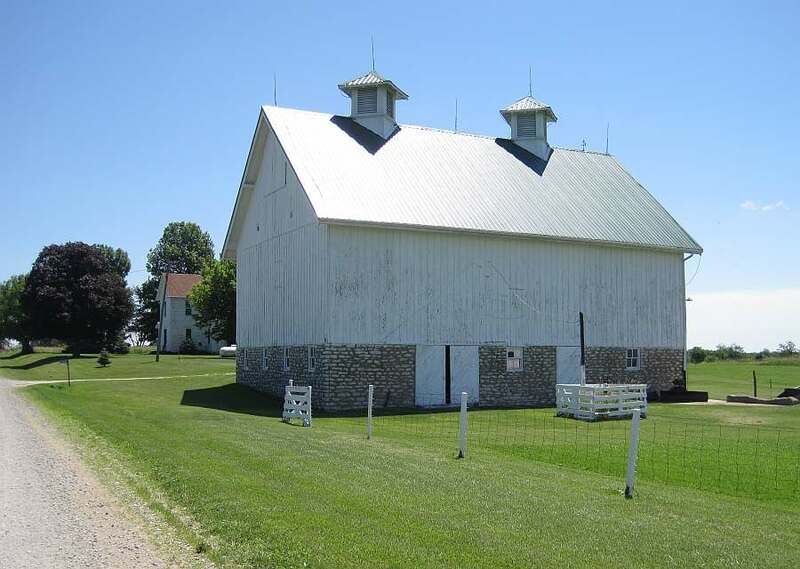 The Finney barn is located in Van Buren Township. 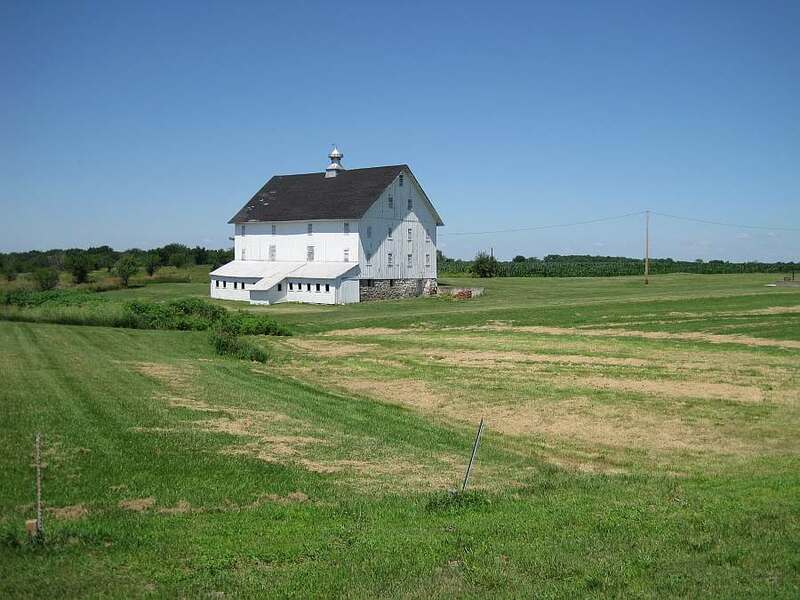 Van Buren County, Iowa, on the east side of Highway 1, north of Mt. Zion. It is believed to have been built sometime between 1898 and 1904 by owners Charles S. & Bessie L. (Barker) Bogle. 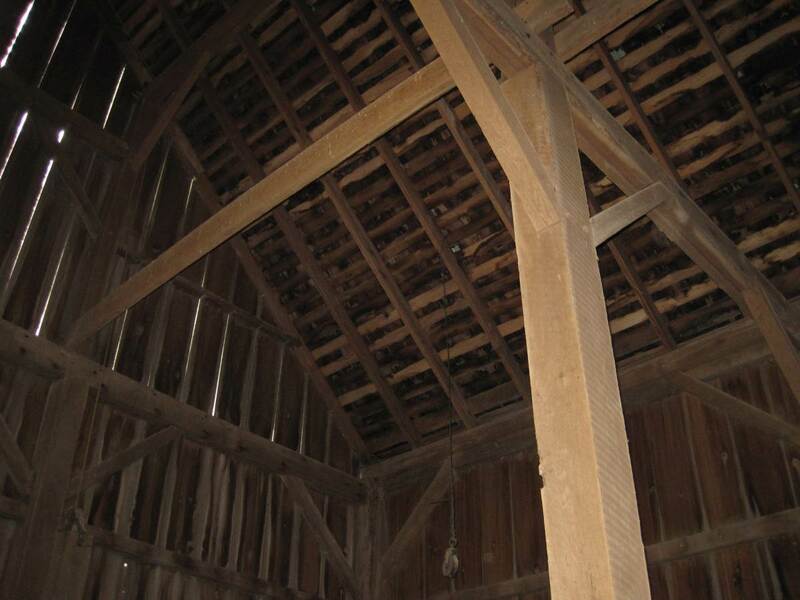 Although the builder of the barn is unknown, there is evidence in the barn that the lumber came from the Streeter Lumber Company, which operated in Keosauqua and Douds about that time period. 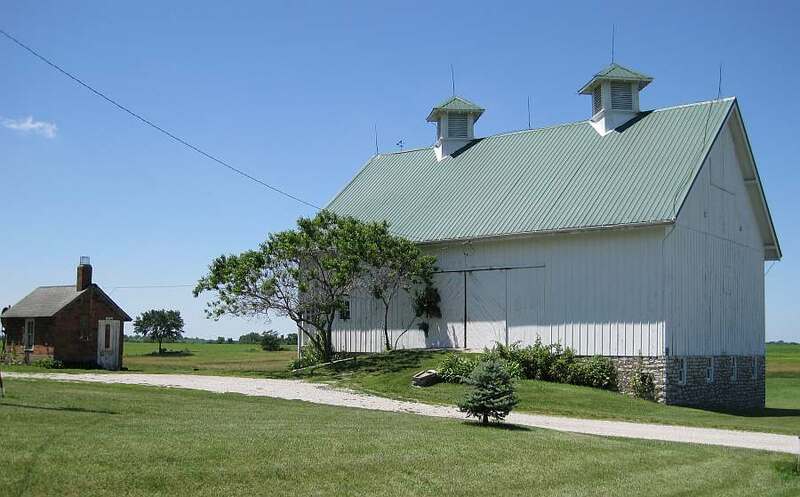 "This barn is somewhat larger than the others noted, being 38' x 48'. It features the wagon doors on the west elevation, reached by an earthen and wood ramp, with the lower doors opening to the east. 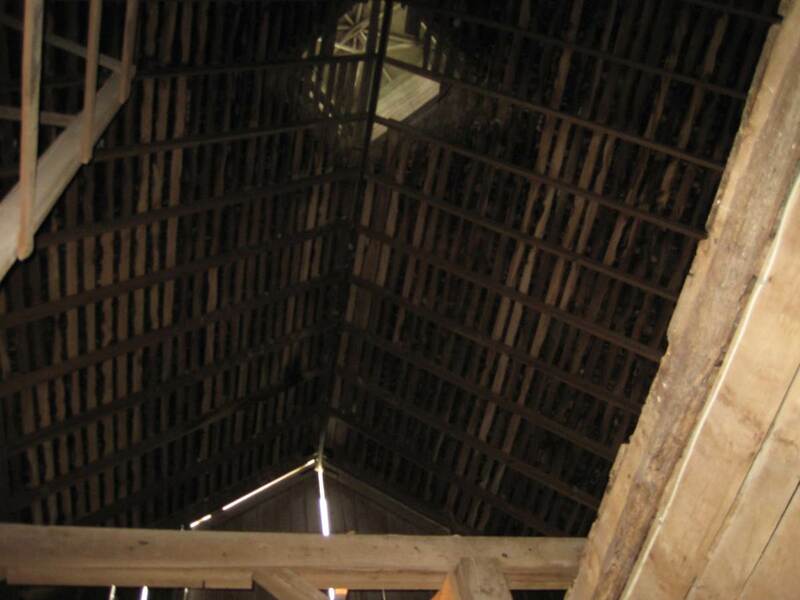 These English barns were basically a variation on the three bay threshing barn, but built into a slope with lower level for livestock. 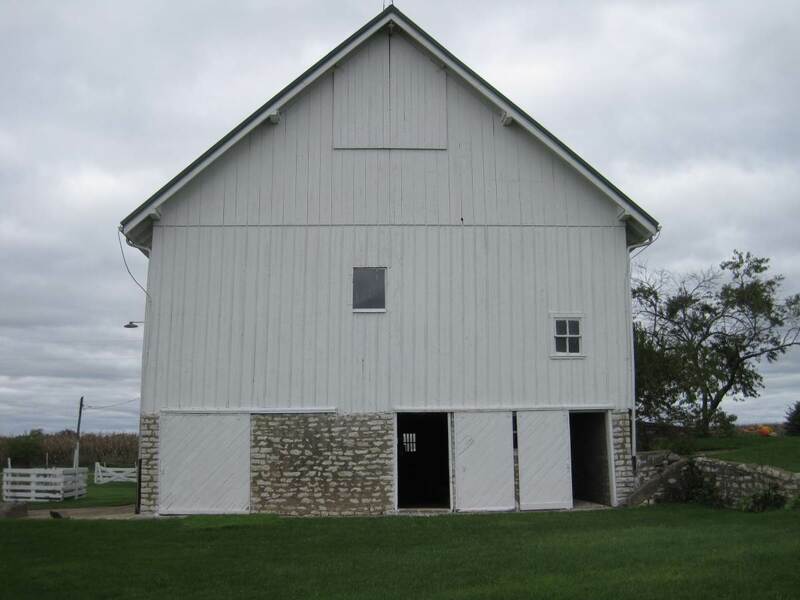 An interesting feature of this barn is the use of windows on all elevations, with two windows in each gable end as well. 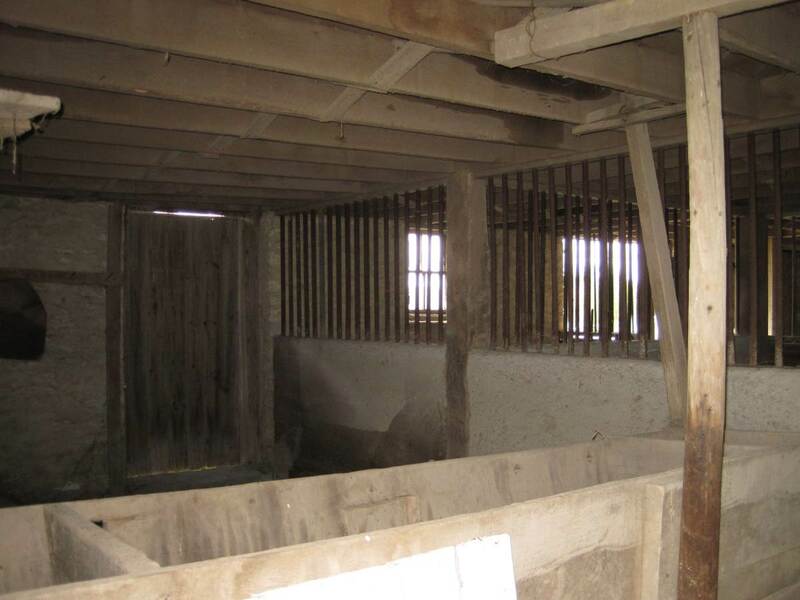 This use of windows is unusual in the barns surveyed. 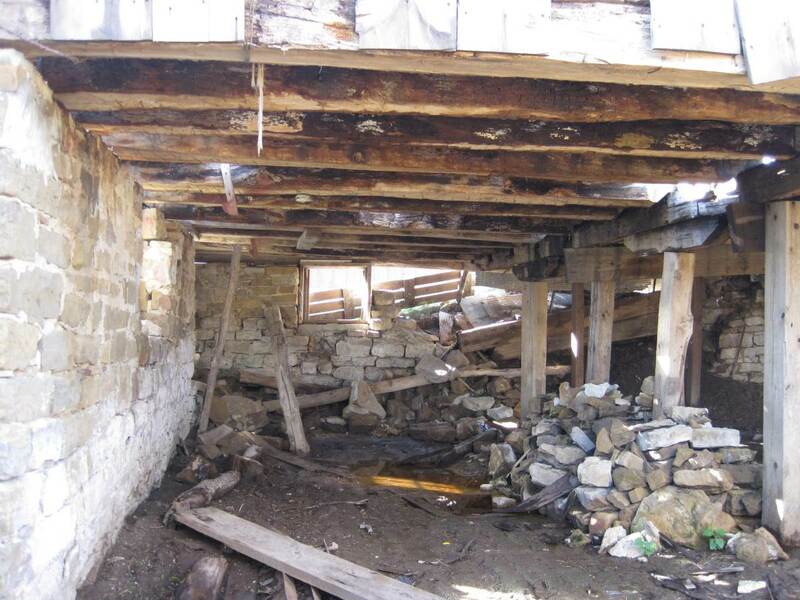 The construction is similar to many others in the survey, combining log, hewn, and milled lumber, with wooden pegs used in some places. The beams, both hewn and milled, measure 8" x 8". 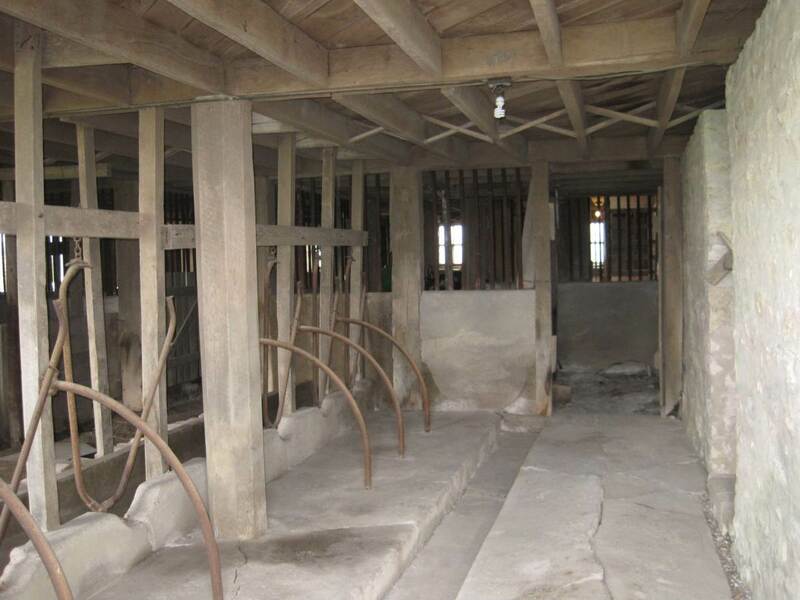 Construction of bank barns allowed for hay and grain storage on the upper level while sheltering livestock below. 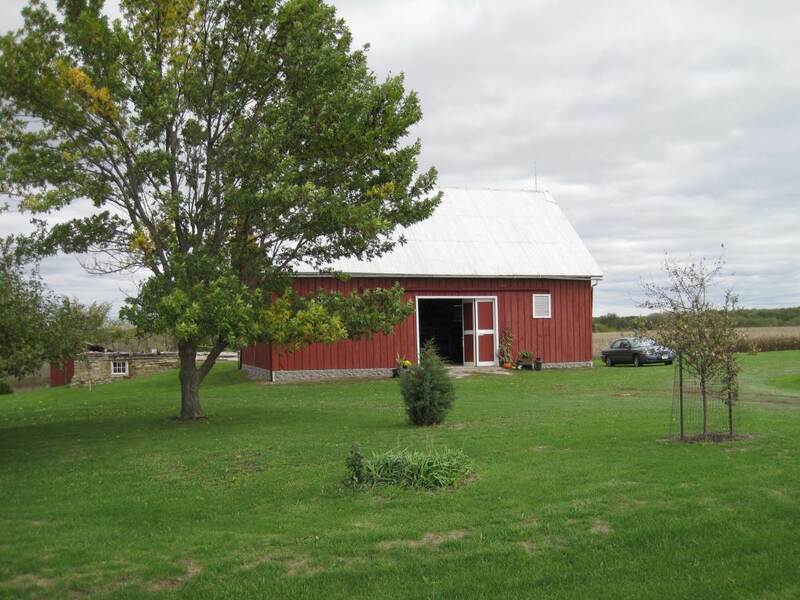 This was economical because there were two levels under one roof." 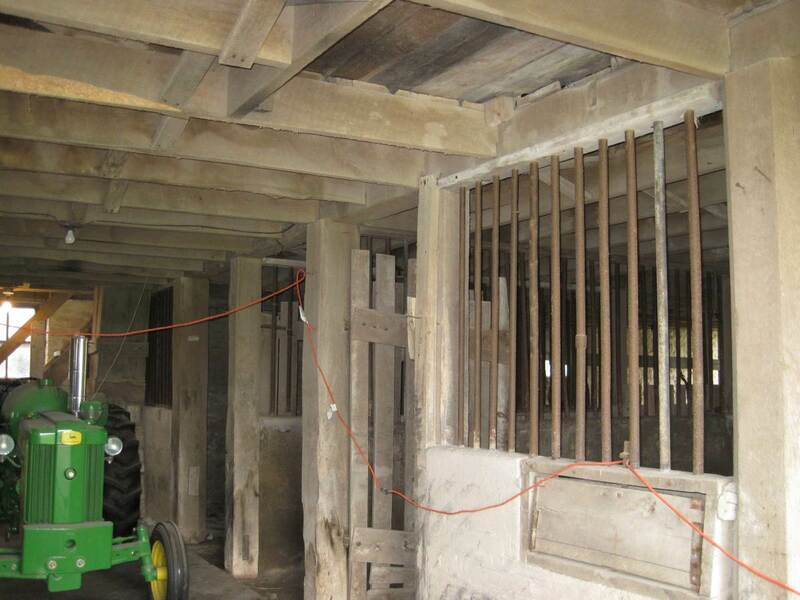 Faced with imminent collapse due to a deteriorating foundation, substructure support, and floor, and limited use of 21st Century needs, the barn was moved on a new foundation by Enos Mullett of rural Milton in 2016. 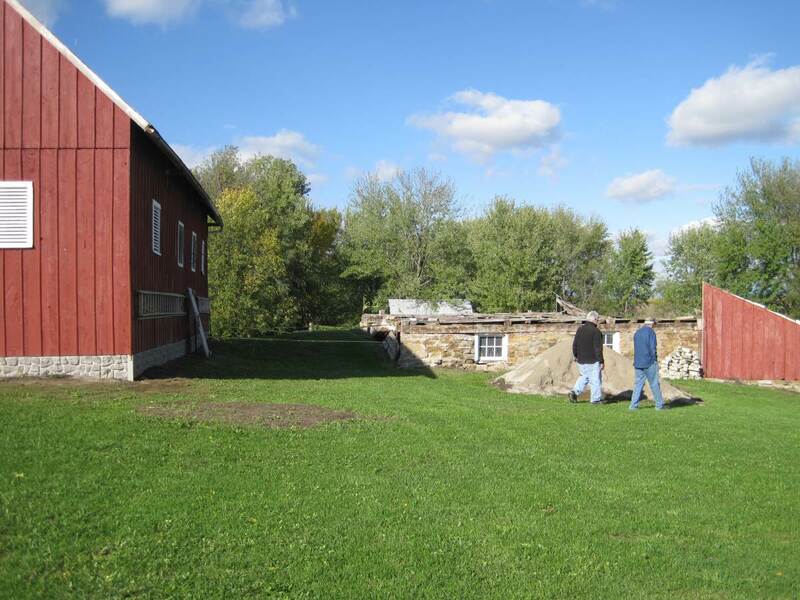 Plans are to restore the old foundation as a way to bridge its former location and use with the new. 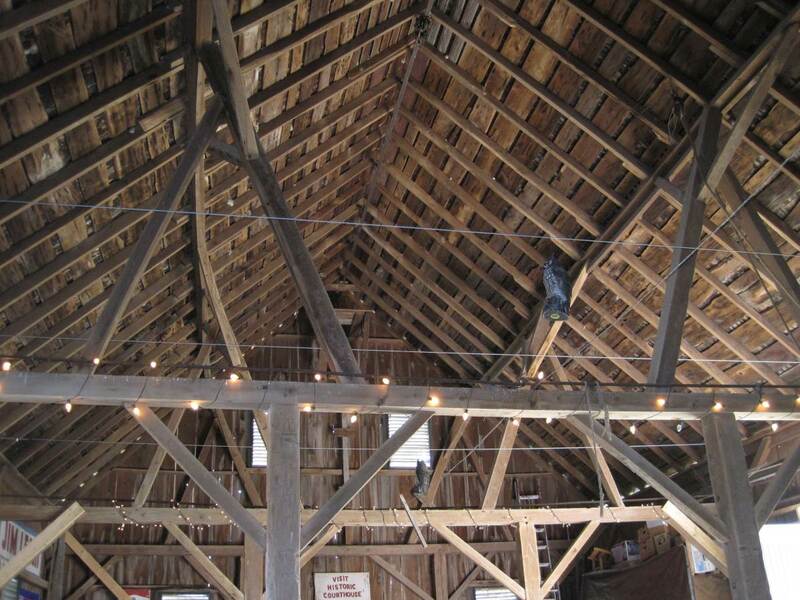 With proper care, the barn is now poised to be a useful structure for another 125 years. 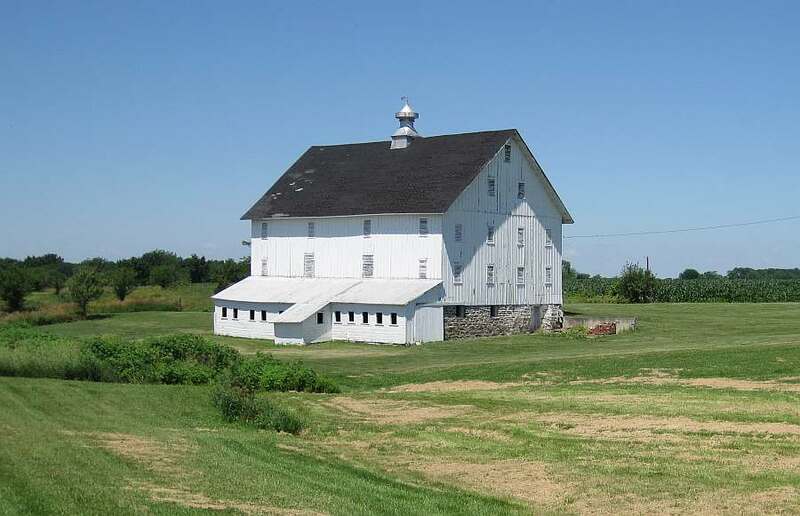 Finney Barn before it was moved (this is the west side). 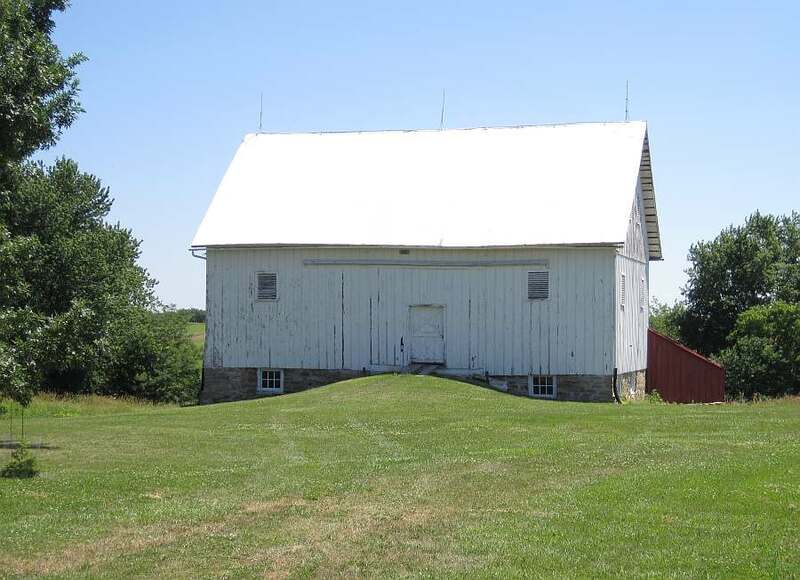 Note that the ground slopes down - the basement opens out to the east. (2013). 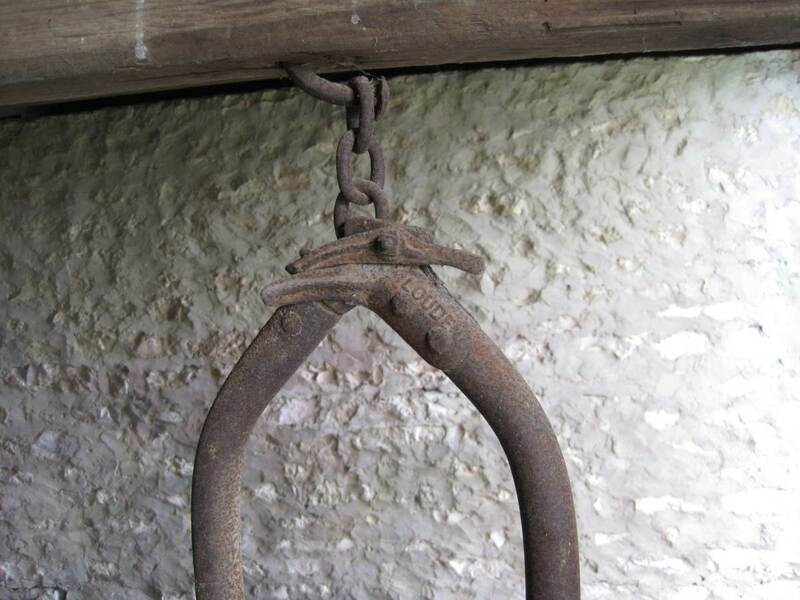 Wagons could pull into the west door to unload. (2013). 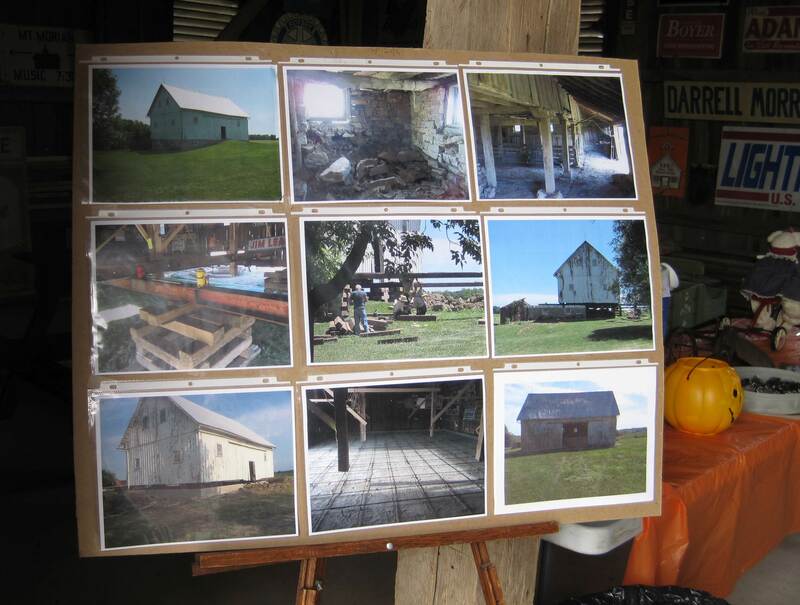 Finney Barn in Oct 15, 2017 (open during the 2017 Villages of Van Buren Scenic Drive Festival) after the top of the barn was pulled off the basement section. 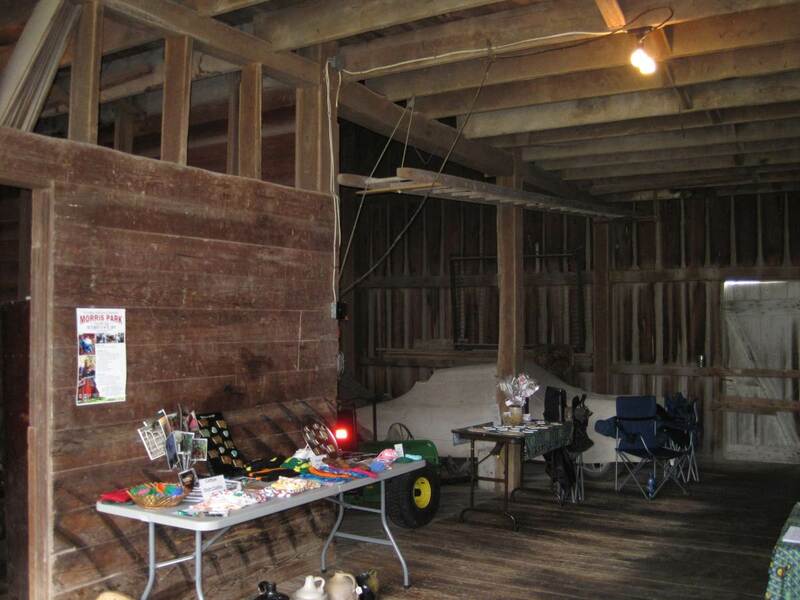 See the basement section behind the barn. It was painted red after it was moved. 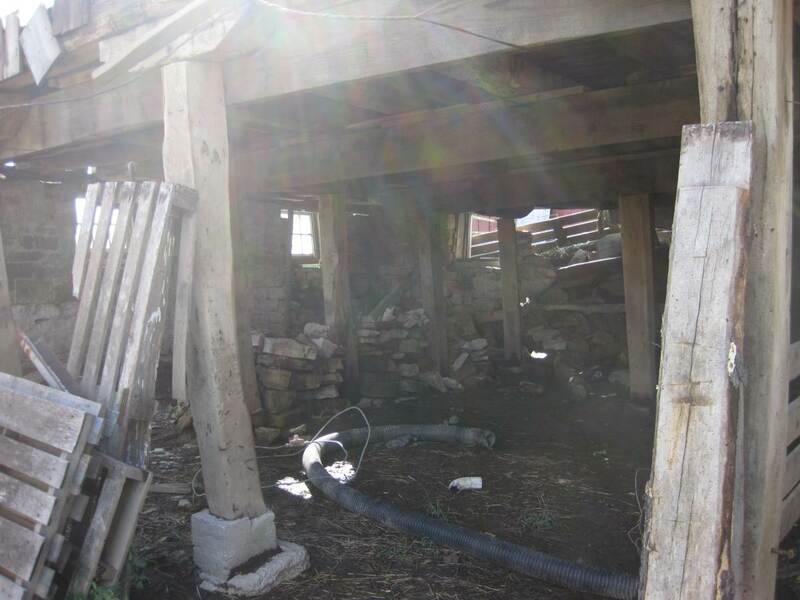 Photos show how the top part of the barn was slid westward, onto to a concrete slab floor. 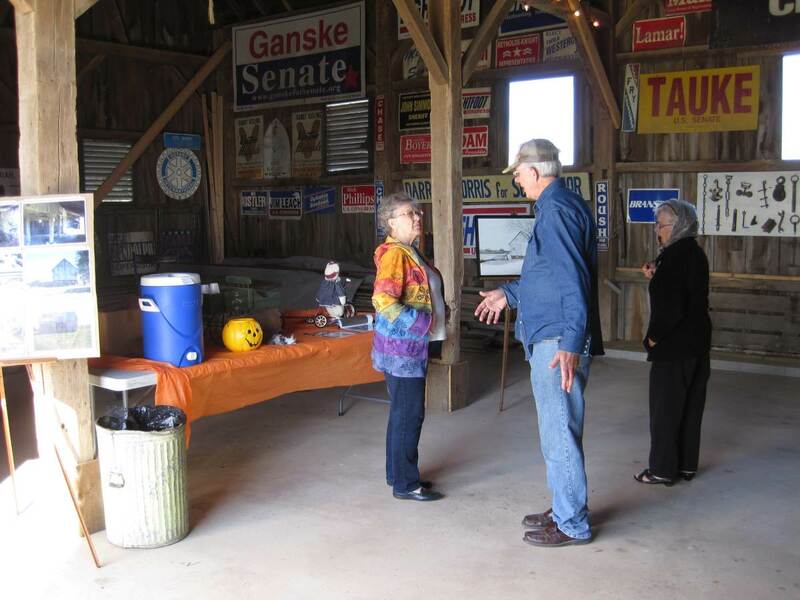 Owner greeting visitors during 2017 Van Buren County's Fall Festival in October. 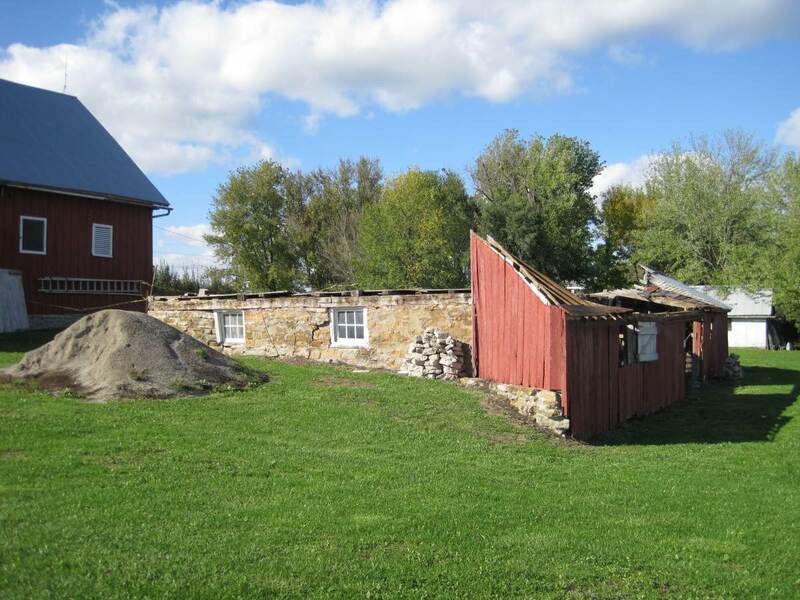 North end of barn; old basement part is behind the barn. 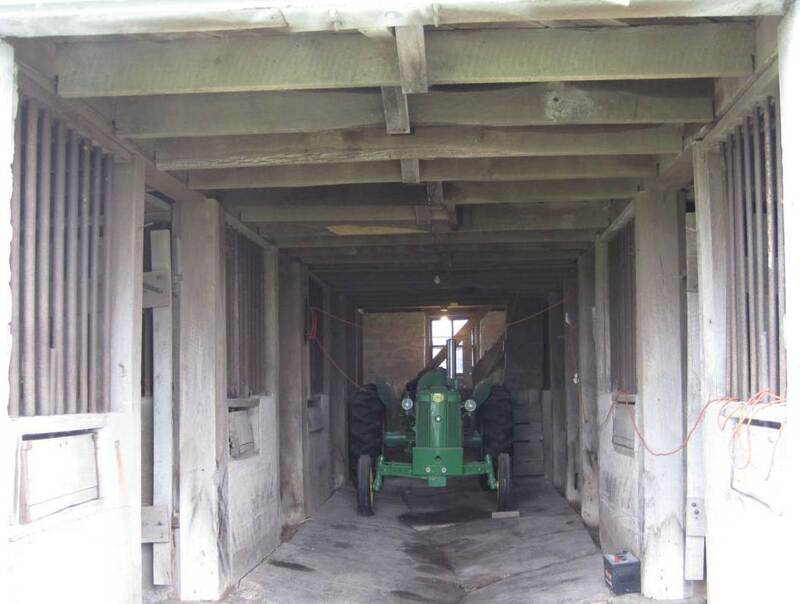 Looking east at the old barn basement. 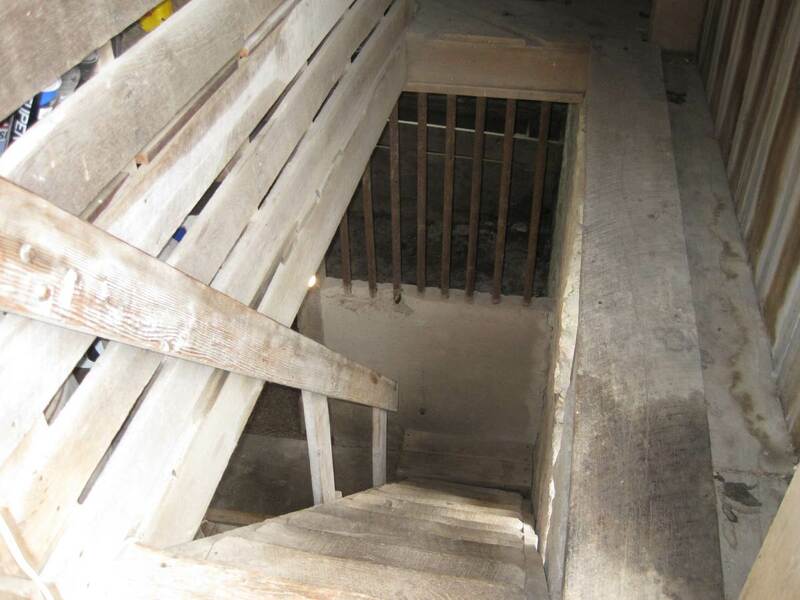 East end of old basement section. 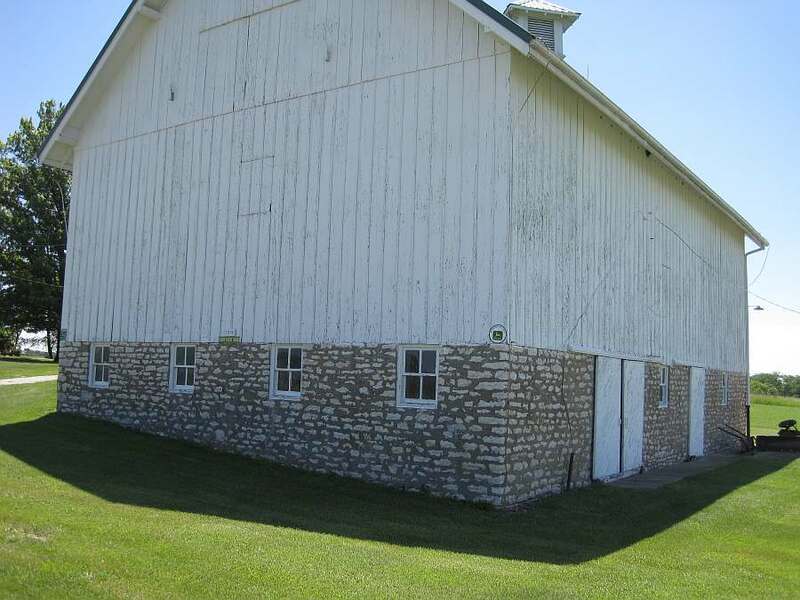 Clark Barn, 27882 107th Street, north of Stockport, IA. 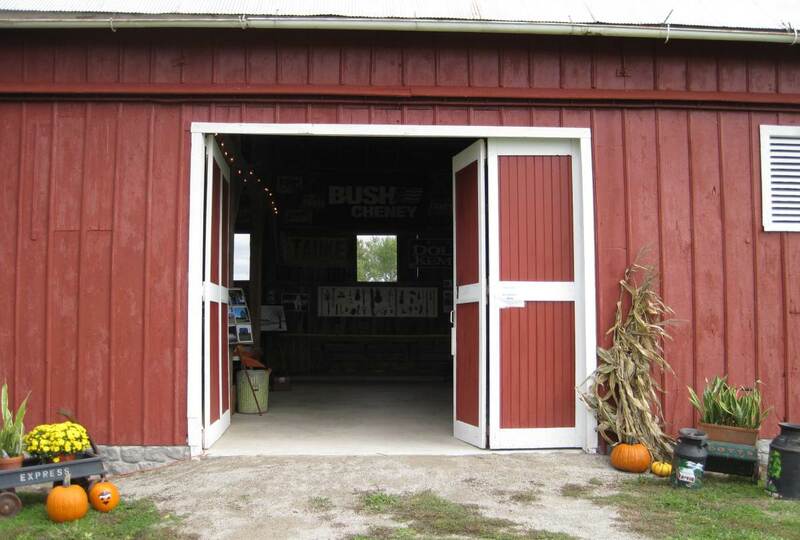 Clark Barn, south side, open during the 2017 Villages of Van Buren Scenic Drive Festival, Oct 15, 2017. 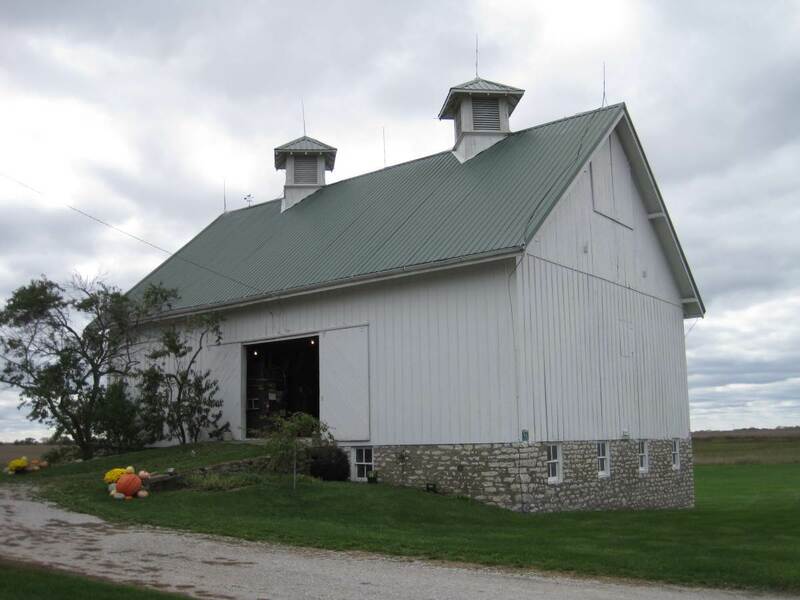 Clark Barn, Louden Stanchion - See details on the Louden Company website. 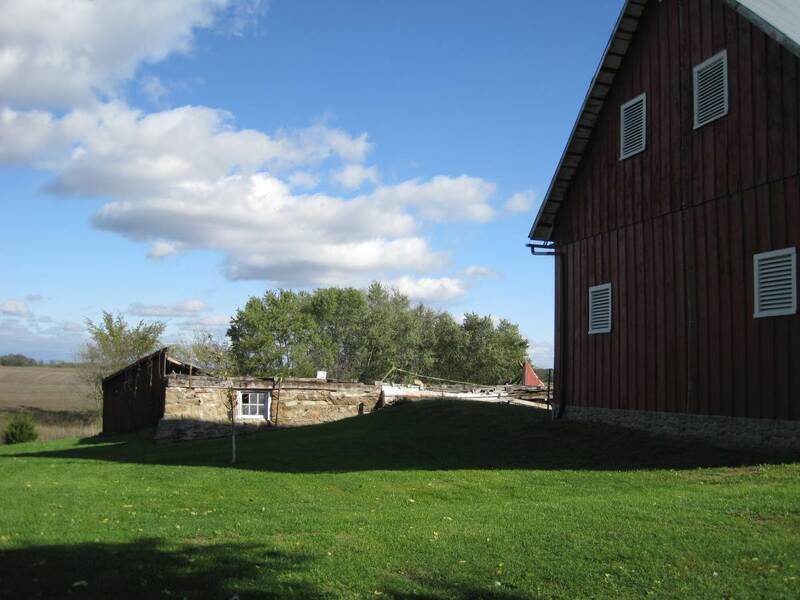 Located just south of the center of Keosauqua, near top of the hill, west side of Hwy 1. Parsons Barn. Photos taken July 2013. 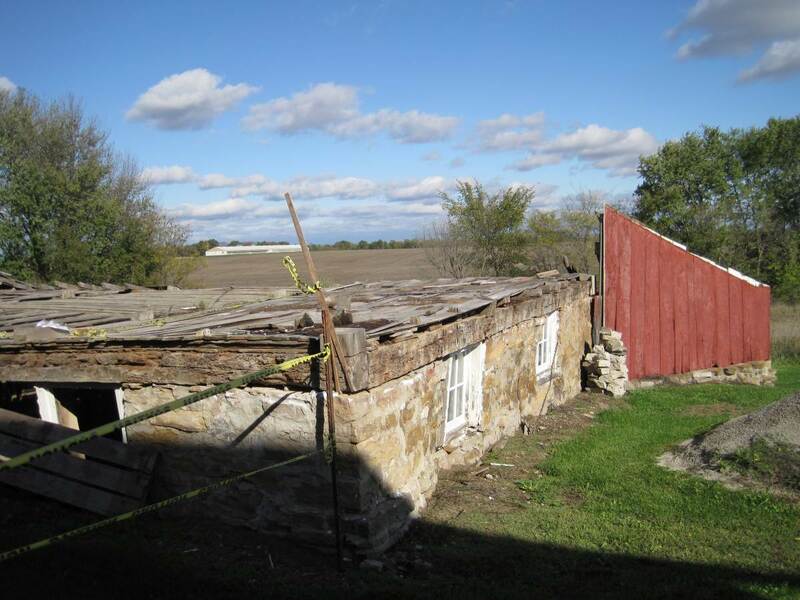 The Parson is on the Iowa barn Foundation All-State Barn Tour most years (but not for 2018). Another photo is on Wilford Yoder's photo page (scroll down to see it). 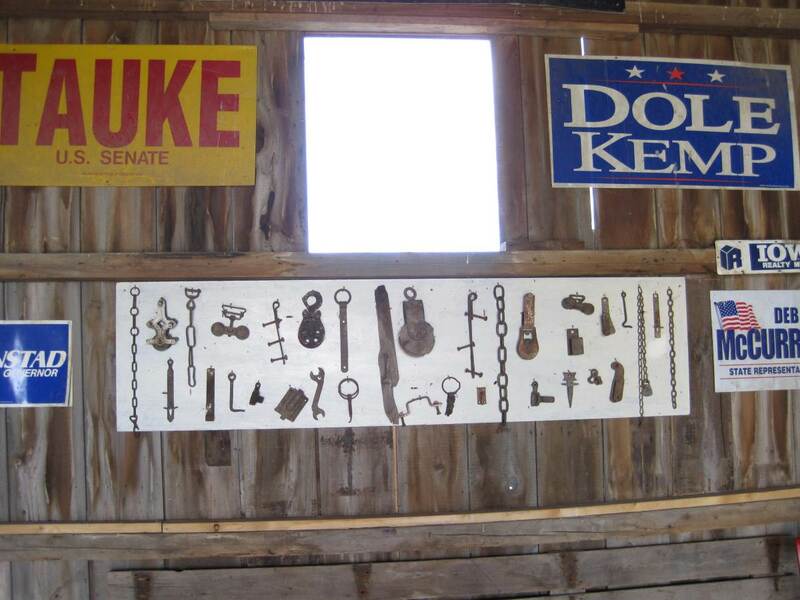 The Zane Barn is located in Bonaparte, Van Buren County. 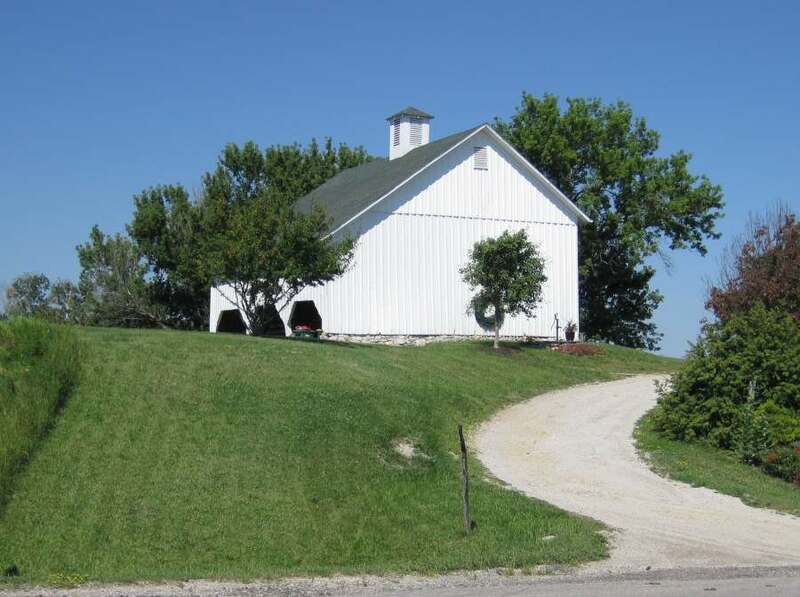 © 2018 Iowa Barn Foundation. All rights reserved. 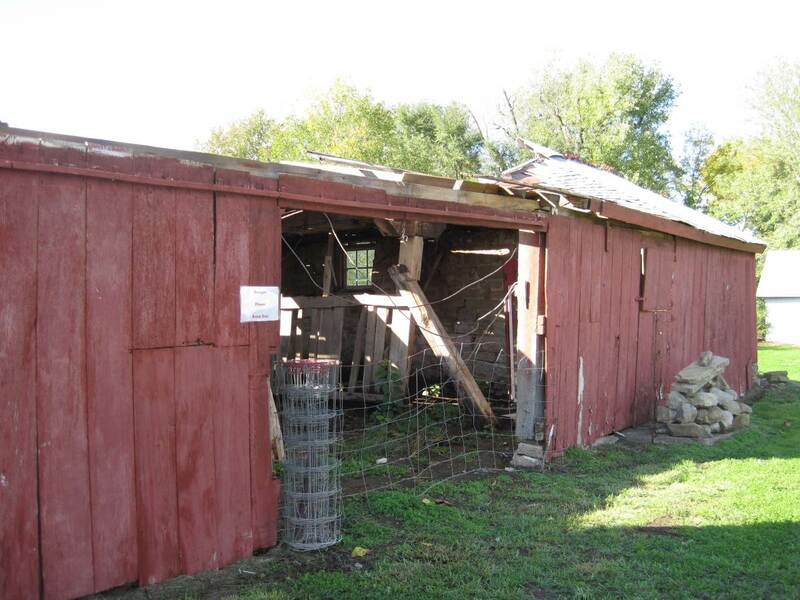 This material may not be published, broadcast, rewritten, or redistributed without express written permission from the Iowa Barn Foundation. Updated 09-17-18.